With the Bob Allen 429RS Superior Shell Pouch you can load the front divided compartments with up to 100 shells and save your hulls in the 100-shell capacity rear meshimage zippered compartment. This ammo pouch made by Bob Allen is made of rip stop nylon construction and includes a heavy-duty adjustable web belt. The Bob Allen 425RS Deluxe Divided Shell Pouch holds two boxes of shells at your fingertips for fast loading. This ammo pouch made by Bob Allen is made of heavy-duty nylon and itsimage web belt is adjustable. Twin compartments of the Bob Allen Deluxe Divided Shell Pouch hold a box of shells each. Bob Allen - 419L - "Classic" Divided Pouch w/ Belt has two compartments that hold 25 shells each. The 419L Shell Pouch is very compact and madeimage of water-repellent distressed synthetic leather. The Classic Bob Allen Shell Pouch is adjustable 2" web belt. Available in Black, Brown or Green. Bob Allen is a leading supplier of high quality hunting gear and accessories. The Bob Allen 419RS Divided Shell Pouch is a comfortable pouch with its own belt puts two boxes of shells at your fingertips for fast loading. This ammo pouch by Bob Allenimage is made of heavy-duty nylon and backed with 1/4" foam for rigidity. Twin compartments of the Bob Allen Divided Ammo Pouch hold a box of shells each to double up on ammo. The Bob Allen 411RS Four-Box Shell Carrier - For sale with some of the best pricing anywhere! Bob Allen 423RS Mesh Empties Shell Pouch. The Bob Allen 435T Shooter's Shoulder Pack holds eight boxes of shells in its roomy interior. The Shooter's Shoulder Pack has a separate compartment for empty shotgun shells. The Bob Allen 435T also has imagea flapped front pocket that is perfect for holding other accessories. The Shooter's Pack is available in Black or Green. 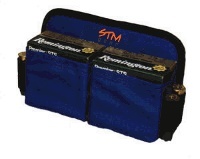 Ideal for range and sporting clays shooting, the Bob Allen 500RS Deluxe Range Bag holds up to 12 boxes of shells. This range bag made by Bob Allen features a 14" ximage 8" inside compartment with a zippered front back and side pockets for accessories. The Bob Allen Deluxe Shooting Range Bag includes a hard bottom and foam-insert sides and top add to rigidity. 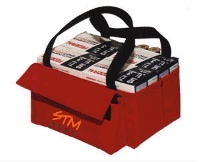 Carries up to 6 boxes of shells and a pouch for glasses, Nok-Out, gloves or spare shells. 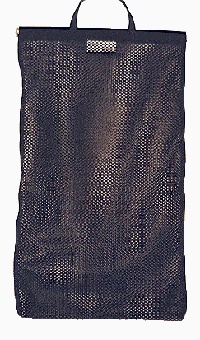 Large mesh bag with handles and spring-frame opening. Holds over 1000 hulls. 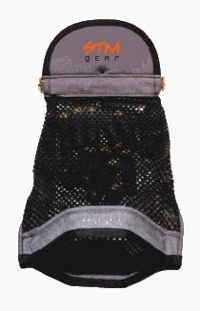 Mesh bag with handle and spring-frame opening. Holds 400 hulls. Holds 100 hulls. Has spring-frame opening in top and bottom. Belt Clip only. Holds two boxes of shells, four extras. Available in belt loop and clip. 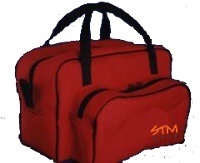 Holds four boxes of shells, with room for glasses and spare shells in the front pocket.